This is an educational, finely detailed dinosaur toys play set. 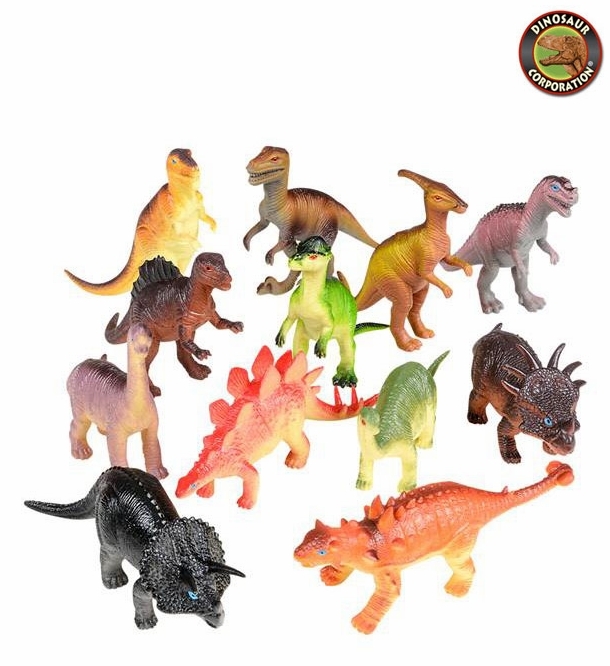 Create the best dinosaur themed party with these colorful dinosaurs: Tyrannosaurus rex, Velociraptor, Stegosaurus, Apatosaurus, Brachiosaurus, Styracosaurus, Ankylosaurus, Ceratosaurus, Parasaurolophus, Dimetrodon, Plesiosaurus and Triceratops. This dinosaur collection provides hours of educational fun. Hand a child one of these real-to-life dinosaurs, and watch his eyes light up! Just the right size for playtime or science projects.